Yesterday, John Gruber of the Daring Fireball skewered a Bloomberg article published by Alex Webb and Alex Sherman, which similarly offered myopic criticism of Apple's acquisition savvy. Gruber observed that it "consists of quotes from investment bankers arguing that Apple should hire investment bankers to make more large acquisitions. Really, that's it." Today, Bloomberg published another piece by Mark Gurman targeting Apple TV, complaining that the product--along with rumored upgrades offering 4K resolution and support for Wide Color--"probably aren't enough to turn the gadget into a groundbreaking, iPhone-caliber product," while citing anonymous sources as saying that "Apple engineers have been forced to compromise on Apple's vision of revolutionizing the living room." There are a series of problems with the article, ranging from factual inaccuracies to incorrect assessments about the television industry. Overall, it well represents the populist media narrative that Apple is a bungling, arrogant, ineffectual and incompetent company that can't even manage to regularly replicate its work that made iPhone the world's most valuable technology product to ever exist, and that made it the most successful and transformative tech company in the world--without any context for what real success in the TV industry might actually look like. "Early on," Gurman wrote, "the Apple TV was going to replace the clunky set-top boxes from the cable companies and stream live television. It never happened." A decade before Apple TV was first announced, Microsoft acquired WebTV (a startup cofounded by former Apple engineer Steve Perlman) and launched an effort into replacing set top boxes and streaming Internet content to televisions. Later rebranded as MSN TV, the product was everything that Bloomberg portrayed Apple TV engineers as "secretly wanting" Apple's own box to be. Despite lots of investment from Microsoft and partnerships with major television vendors, MSN TV proved to be a major dud, not "a groundbreaking, iPhone-caliber product." After years of pursuing various initiatives involving Windows Media Center and TV set top boxes with DVRs, cable cards and TV tuners, Microsoft's current video efforts now look a lot more like Apple's: direct digital downloads, rentals and media subscriptions. Gurman next wrote that the Apple TV "team debated bundling a gaming controller with the current model to better compete with Microsoft Corp.'s Xbox and Sony Corp.'s PlayStation. That didn't happen either." Across two decades, lots of people have enjoyed playing Xbox and PlayStation, and both have achieved a measure of commercial success. However, neither product line has achieved anything near being "a groundbreaking, iPhone-caliber product." The top selling console, PlayStation 2, reached record sales of 155 million units across 12 years. PS3 sold a total of around 80 million units. Apple sold over 78 million iPhones last quarter, and over one billion iPhones since 2007. Nothing comes close to iPhone, so comparing every new product Apple makes to iPhone is obvious, lazy, cliche, meaningless sensationalism. Gurman then jumped to voice, writing that "Originally, [Apple TV] viewers were going to be able to shout commands from the couch to the Apple TV. Instead they must talk to the remote control." Amazon's Fire TV does allow users to "shout commands from the couch," but this did not successfully create "a groundbreaking, iPhone-caliber product" or market opportunity either. 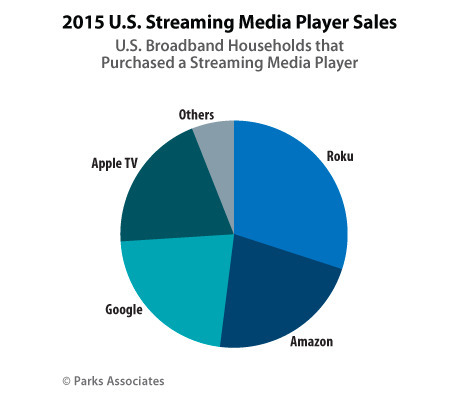 According to U.S. market research published by Parks Associates last summer, Amazon media player products narrowly out-shipped Apple TV (for a 22 vs 20 percent share of the market) in 2015, but that also includes USB sticks, which made up half of the total units. So despite a major price advantage and voice-shouting features, Amazon's Fire TV box performed worse than Apple TV in the U.S., let alone globally. Bizarrely, Gurman next complains that "Apple has essentially settled for turning the television set into a giant iPhone: a cluster of apps with a store." Ironically, iPhone actually is the only thing close that's ever been close to "a groundbreaking, iPhone-caliber product," yet Gurman cites this as a big disappointment and failed direction for Apple TV to pursue. There doesn't seem to be anything Apple TV could have done to escape being branded as a failure by Bloomberg in one metric or another. In fact, there's nothing in the tech industry that meets Gurman's minimum standard for non-failure, not even the very standard of "groundbreaking" itself. Everything is all boring, uninspired failure that doesn't do any of the exciting the things that previous failures accomplished before failing. That's not journalism, it's just circular, contradictory, cynical negativity. While it first appeared in the same year as iPhone, Apple TV has only served as an incremental force in shifting the cable TV industry because it lacked the market potential that drove iPhone to become the world's most valuable technology product. The populist media narrative holds that iPhone revolutionized phones but complains that Apple failed to do the same for television. However, Apple didn't really revolutionize phones. It replaced the mobile phone with a handheld computer capable of running sophisticated computer software: apps. Ten years ago, Apple didn't disrupt leading phone makers such as Nokia and Motorola in the realm of upgrading the existing phone experience by adding a new layer of value to the "press or say 4" telephone voice interface. Instead, it shipped a handheld computer, based on its Mac operating system and app development frameworks, with phone functionality. Its phone features were leading in some respects (such as the very non-phone-like Visual Voicemail) and trailed behind in other respects (iPhone was not the "best phone" in terms of making simple voice calls). Apple TV presented a similar solution to the basic television: the original model was purely a scaled down Macintosh with an interface limited to downloading and playing iTunes video, as well as playing iTunes music and showing users' iPhoto images and home movies. Unlike iPhone, it didn't get its own App Store until much later. Apple focused on sales of iPhone because phones represented a much larger opportunity than Apple TV did, despite originally being priced more than twice as high ($650 vs. $299 for the first Apple TV model). The demand for a sophisticated smartphone was simply far higher than any demand for a smart TV product. Apple can lead a horse to water but it can't necessarily make it drink. Despite a variety of TV-based experiments from Microsoft, Sony, Nintendo, Samsung, Google, Comcast, Tivo, Amazon, Roku and many others, there's never been anything in TV that approached the success Apple had with iPhone in the mobile phone business, nor anything comparable even to Samsung's lessor success in selling smartphones, nor Google's success in promoting Android as a smartphone platform. In fact, the market opportunity driving iPhone sales itself has had more impact on the television industry (and video downloads and streaming) than any TV box or game console has. Second in line behind iPhone for having a major impact on television is iPad, which has helped drive momentum toward app-based broadcasting and the digital delivery of television, movies and other video content to mobile viewers. Apple has sold 350 million iPads since 2010. It sold about 25 million Apple TVs prior to Apple TV 4 and has been estimated to have sold about as many new models since. Clearly iPad is a bigger TV product than Apple TV. No wonder the set top box languished in "hobby" land for so many years as Apple focused on mobile sales, where the market opportunity was. Google TV failed spectacularly. When Google acquired Motorola Mobility in 2011, there was another rush of enthusiastic anticipation that in addition to buying up a smartphone manufacturer, it was also getting the second largest TV set top box manufacturer (after Cisco). "If a cable TV box has the name Jerrolds, General Instruments, or Motorola on the front, it will soon be a Google box," crowed Business Insider at the time. "Those brands represents almost a third of all cable boxes in the world, giving Google a very strong foothold in the living room," it added. "The challenge for the search and mobile giant will now be to find a way to upgrade all those boxes to support the Android Operating System." That expectation turned out to be completely wrong. Google ended up selling cheap USB dongles as a simple way to get Android phone content on TVs in competition with Apple's AirPlay, but didn't make any real progress in monetizing the living room via TV boxes. Its subsequent Android TV was a flop, and many parallel efforts to apply Android's phone success to television set top boxes or gaming devices similarly fizzled into obscurity. Anyone who works around the tech industry knows there are plenty of engineers ready to complain about executive decisions they had to work under. Not surprisingly, Bloomberg found one for its "report" on why Apple TV is no "groundbreaking, iPhone-caliber product." Gurman's article included the line "that's not what I signed up for. I signed up for revolutionary. We got evolutionary," attributed to "one of the people, who requested anonymity to talk freely about internal company matters," ostensibly an Apple TV engineer team member. As noted above, Apple has plenty of TV box competitors, none of whom have really revolutionized the TV box. Perhaps the reason is that there's not enough opportunity for revolution to happen. Or maybe a revolution isn't needed, and incremental evolution is serving demand well enough. Given that the TV media streaming market is being led by sales of cheap USB dongles, it would appear that most of us peasants are largely content with the status quo and aren't looking to finance a revolution in watching TV. Gurman also cited Gene Munster (who he describes as having "covered Apple for more than a decade as a Piper Jaffray analyst") as stating, "Apple TV begs the question: Why does Apple do hobbies? Either do it right or don't do it at all." 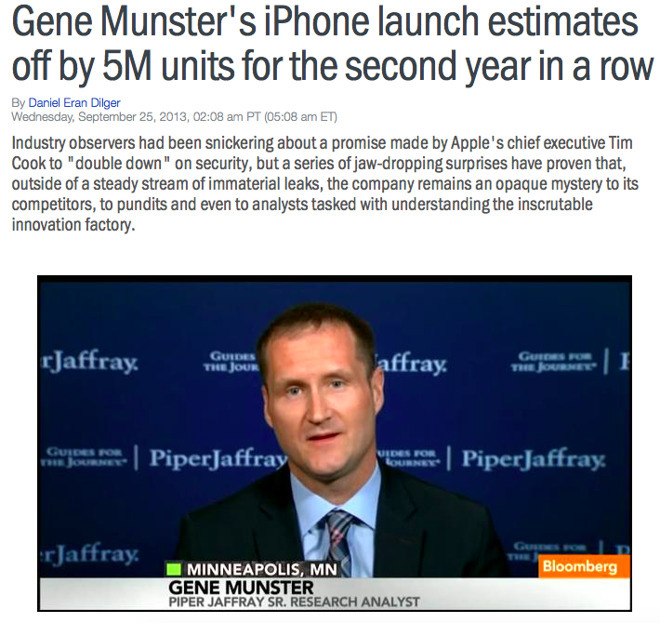 However, Munster has been the pinnacle of wrong in his analysis of Apple and the television market, to the point where it is a widely recognized joke that Munster perpetually predicted that Apple would ship a television that cost twice as much everyone else's, and make tons of money on it. Munster's predictions were not only wrong over and over, but farcically absurd and simplistically unsophisticated at the core. iPhone achieved a major market position by adding value to phones sufficient to drive Average Selling Prices of smartphones from around $100-300 up to today's $700 via iPhone 7 Plus. There's zero evidence that a slick user interface or apps platform could similarly raise the value of televisions. In fact, the demand for basic USB sticks and the limited interest in Apple TV even at a much lower price point ($149) demonstrates that there simply isn't as much commercial opportunity among TV buyers. Add in the fact that consumers typically don't regularly replace their televisions after paying between $500-$1500 for one, and its clear why Apple largely focused upon its core competency in mobile computers, selling iPhones and iPads rather than trying to sell big, stationary televisions with a "revolutionary" interface. Gurman's Bloomberg piece next made a series of other factually-challenged claims. It noted that Apple TV sales were down year over year, saying that "the slide reflects competition from Amazon and Roku, whose boxes do the same and more for less money." However, in realty Apple TV 4 sales are slowing because it is at the end of its product lifecycle. Further, Amazon and Roku were also in business when Apple TV 4 first went on sale, already offering those same boxes "for less money." Citing them as a primary reason for Apple's slowing sales of a model last refreshed in 2015 isn't just cliche, it's nonsensical. Macs, iPhone and iPad also face competition from a variety of offerings that "do the same and more for less money," but this hasn't caused a regular erosion of Apple's sales across the board. Gurman also wrote that "while the Apple TV itself isn't critical to Apple's bottom line, it's central to the company's services business because increasingly the living room is where consumers buy, rent and consume media. Services represented almost $25 billion in revenue for Apple in the last fiscal year, making it the company's second biggest category after the iPhone." However, the content that is actually "central to Apple's Services" is not media but apps. Growth in Services in particular is being fueled by apps, not movie downloads. Many of the paid apps available for Apple TV are free downloads for customers who have already purchased those apps on iOS. It's obvious that Apple TV is in no way "central to the company's services business." Gurman next stated that the original Apple TV, "previewed by Steve Jobs in 2006" was "designed simply to stream iTunes video from a Mac to a TV set." That's also false. The original Apple TV was oriented around content downloads to its hard drive, not "simply" streaming iTunes video from a Mac. It could also incrementally download purchased or rental content for immediate viewing from the iTunes Store. "The next version," he wrote, "launched in the fall of 2010, let users stream content from the internet." Actually, the iOS version only allowed users to stream from the Internet as it lacked significant local storage to hold a library of direct downloads. Gurman also wrote "the latest box was announced in September 2015, a few months later than originally scheduled." However, Apple TV 4 did not have an earlier "scheduled release date." It was not announced until it was ready to ship, which was at an event alongside iPad Pro. Gurman also complained "the latest Apple TV sells for $149, more than twice as much as its predecessor, $60 more than Amazon's Fire TV and $20 more than the priciest Roku." However, Roku makes relatively little from hardware, and earns most of its revenues from reselling content subscriptions or advertising. It is a tiny business compared to any of Apple's. And despite very low pricing, Apple's market share remains roughly equal with rivals selling far cheaper solutions, whether Roku or Google's $35 Chromecast dongles. Gurman also took issue with Apple TV reselling "services like Hulu," or requiring users to "log in with an existing cable subscription." But Apple can't unilaterally change how content owners offer to sell their content. If Hulu's business model deserves criticism, it's Hulu's network owners who are to blame, not Apple. Apple obviously would rather sell standalone apps and content and make money the way it does in the iOS App Store. But unlike its own iOS apps, Apple doesn't control the content of its partner networks and subscription sites. 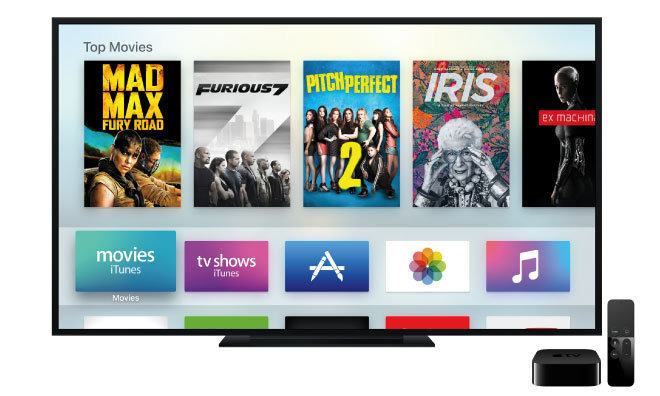 Gurman stated that Apple's new TV app "was to be the main interface for accessing live shows and sports. But when the app was finally launched in December, it merely let viewers access their iTunes video library and the iTunes Store, functions that already existed on the Apple TV." Actually, the new TV app was released as an alternative, content-oriented framework and UI for discovering content, as opposed to the typical Mac / iOS model of presenting an app-oriented interface. It mirrors the content-first model of Apple News and Apple Music, rather than presenting a series of apps that represent different sources of content. Gurman also took issue with Apple's inability to lineup universal support for a "skinny bundle," writing that "media companies were willing to engage with Apple due to concerns about the rise of online services like Netflix and the cord-cutting phenomenon," despite the fact that such a skinny bundle would hasten cord cutting, not abate its rise. He states that "media companies blamed Apple's arrogance; Apple blamed the media companies' inflexibility. In the end, the talks fell apart, leaving Apple to tout stripped-down bundles from Sony PlayStation and DirecTV." Gurman's portrayal of Apple's incremental success in lining up content partners betrays a limited memory of Apple's history with iTunes content. The same scenario played out in music, where labels first refused to negotiate on downloads, then conceded only after their business began to implode. It next played out in video, where studios and networks originally refused to sell their content in iTunes until they were shown it could work. This took years of negotiation and experiment. 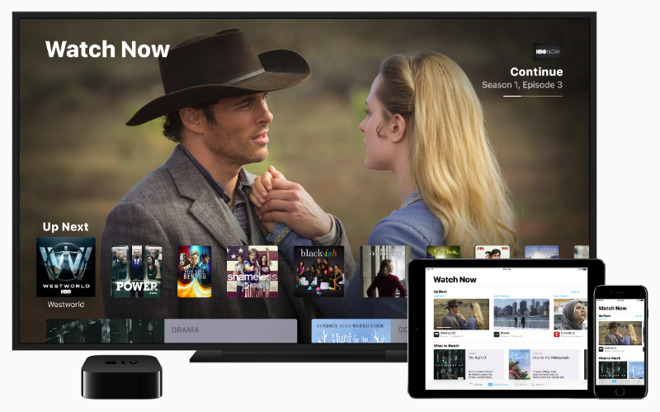 Apple TV 4 is not even two years old and Apple's TV app has only been around for three months. Gurman also called Apple TV's software "less ambitious than originally envisioned," contrasting that "the current model features an iPhone-like app grid, but designers had prototyped more novel interfaces. One idea, dubbed 'Intentions' internally, put the four tabs in the center of the screen: three for the Apple TV's main content types (video, music, and gaming) and one for everything else." However, Apple's TV app--along with Apple Music and Apple News--shows that Apple's intent is to focus on "merchandising" content centrally regardless of its source or what app it already hides within. The Intentions interface described by Gurman in once sentence does not suggest a better alternative. Novelty it itself isn't necessarily an improvement over Apple's "iPhone like app grid," as proven by Microsoft's Metro Mobile offerings, or Amazon's Fire Phone with "dynamic perspective," or Google's floating content windows in Android 3.0 Honeycomb tablets. Gurman also claims that "the Apple TV is handcuffed by its parent's addiction to fat margins. Apple is constitutionally allergic to losing money on a product--even if it can make up the difference by selling content." This is false on its face. Apple TV has obviously never been designed to claim Apple's typical 38 to 40 percent margins, and Apple repeatedly described it as "hobby." Analysts have referred to Apple TV "margin challenged." That's the complete opposite of claiming that Apple TV has been watered down purely to drive high hardware margins. Gurman also wrote that "some engineers initially believed the current set-top box should be capable of streaming 4K video, which offers about twice the resolution as the previous generation of high-definition TV. But 4K requires a faster processor, which would have pushed up manufacturing costs. That would have forced Apple to accept a lower margin or charge more than the market would bear. Apple settled for a lesser chip that debuted back in 2014--and no 4K. Likewise, not bundling a gaming controller was partially a cost-driven decision." While it's true that 4K capable hardware would be more expensive, it would also require far more bandwidth, resulting in much slower performance on existing networks, while placing greater infrastructure demands on iCloud. Niche vendors who only materially operate in the US, such as Amazon, can offer a 4K streaming product because they don't have to deliver a good experience to a broad population of users. Its 4K support doesn't even have to work; merely advertising it will give Amazon the ability to gain favorable press whether it works or not. And as users have reported, Amazon Fire 4K "support" does not exactly live up to being a strong bragging point in reality. While Gurman writing that "Apple settled for a lesser chip that debuted back in 2014" sounds incriminating today, Apple TV 4 debuted in 2015, drawing excitement at the time that its A8 chip was barely a year old, having previously debuted as the fast 64-bit processor powering Apple's premium iPhone 6. Apple TV 4 is now approaching a year and a half without updates, but game consoles from Sony and Microsoft sit on the market for many years. The current "new" Xbox One was released nearly four years ago. Xbox 360 was on the market for eleven years using the same processor. 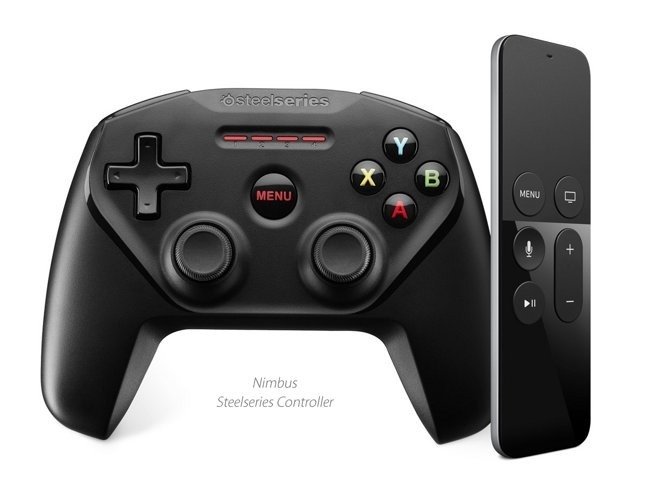 Along those lines, bundling a game controller would have positioned Apple TV as a game console. At its launch, there were only a few titles for the new system; positioning it as a cheap Xbox alternative would have been more disastrous than Nintendo Wii. It would also, quite obviously, driven the price up even further. A high quality MFi game controller costs $49, a third the price of the Apple TV 4 bundle itself. A significant segment of its intended audience was primarily interested in TV apps and content, not in playing first generation tvOS games that were already explorable on the bundled Siri Remote. Undermining his own theory that Apple is inherently arrogant and doesn't know how the television industry works, Gurman wrote that Pete Distad "joined Apple in 2013 after serving as a senior vice president of content distribution at video streaming service Hulu," noting that he could "hammer out content deals and potentially revive the skinny bundle." That means the reason Apple doesn't have a skinny bundle yet is that not even an industry veteran from the TV network-owned Hulu could line up something that those networks currently oppose as a perceived threat to their cable revenue streams. Gurman again cited Munster as an Apple and television expert saying, "I think they realize it is drifting sideways at this point," adding that failure to make big changes would result in "losing the living room." Again, no other analyst has been more wrong about television and Apple than Munster. The entire Bloomberg article was written like an inside joke. Nothing new about Apple TV, sort of like iPhone 7? The idea that Apple would ship a boring new Apple TV model this year with barely any changes apart from support for better resolution and wider color gamut is reminiscent of last years' Summer of the Boring iPhone 7, where industry wonks all nodded their heads in agreement with the idea that the next iPhone would be a real snooze-fest. The fact that Apple faces greater and more significant competition in the living room, and that it controls a smaller segment compared to smartphones or tablets, suggests that Apple TV 5 will likely be at least as competitive in its offerings as Apple's other recent introductions. Support for High Dynamic Range and 4K resolution are obvious guesses, but Apple's savvy in two other areas (Application Processor silicon and Metal graphics) suggest that the company could also bolster its TV offering with support for better video gaming and new user interface animation effects, while also further exploiting the company's ability to feature tight integration with HomeKit devices and wireless speakers and headphones from its Beats subsidiary. It's also possible that Apple's recent acquisitions related to Augmented Realty, facial recognition and motion capture could also make an appearance in the next Apple TV, potentially in concert with future iOS devices or a new controller. Apart from video games, another area of interest Apple has been talking a lot about applies to sports and health. Further integration between Apple Watch and Apple TV could lead to new assisted physical training and exercise apps, as well as HealthKit, ResearchKit and CareKit apps that could monitor the recovery of patents at home, or study physical mobility in the general population. Apple's emerging presence in the enterprise, in addition to education, could result in new assisted learning apps and collaborative communications tools for companies with workers in multiple locations. Of course, it's certainly possible that Apple TV never emerges beyond a token existence as Apple's product offering connected to television. 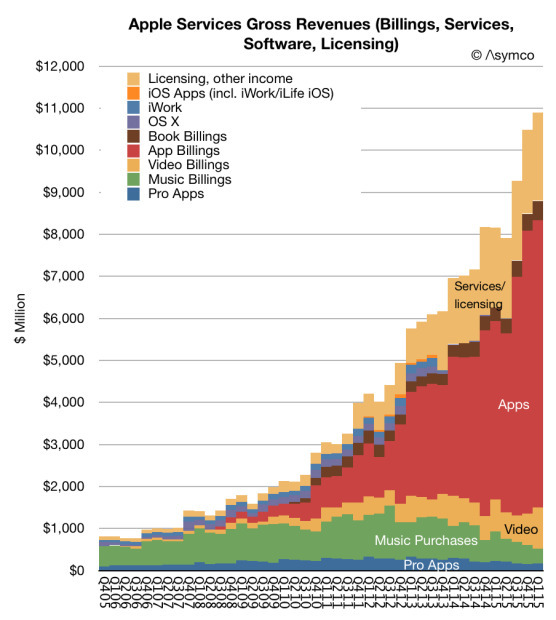 But if anyone figures out how to make money from the living room by adding value to the common television, it's likely it will be the company that pioneered the market for, and then figured out how to best improve, computers, notebooks, phones, tablets, watches and Bluetooth headphones.